1 King Bed: $105/night for one or two people. Two person maximum. Satellite TV. 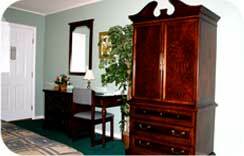 1 King Bed Suite: $115/night for one or two people. Two person maximum. 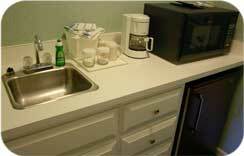 Handicap accessible, oversize bathroom, wet bar. Satellite TV. 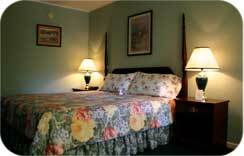 2 Double Beds: $105/night for one or two people. Add $10 for third person. Three person maximum. Satellite TV. *Add 11% tax to all rooms. Add $5/night to winter rates. Add $10/night to winter rates. *Rates are subject to change. During special events, rates and policies may change.